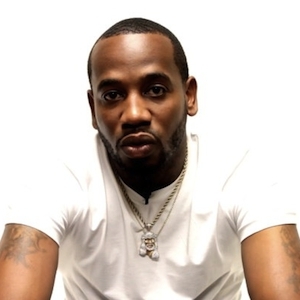 Theodore Jones, (born September 19, 1984) better known by his stage name Young Greatness, is an American rapper from New Orleans. Jones was born in New Orleans, but moved to Houston after Hurricane Katrina. Taking the name Young Greatness, he began attracting notice from Houston rappers such as Bun B and Mike Jones, resulting in a deal with the record label Quality Control Music and Capitol Records in 2015. The devastation the Big Easy felt under Hurricane Katrina meant a relocation to Houston, Texas, but it was a quick and easy fit for the young MC. Local heroes like Bun B and Mike Jones began repping Young Greatness, and in 2015 he joined the Quality Control label and issued the mixtape I Tried to Tell Them. It spawned the single "Yeah" featuring Quavo.